How do you choose the right size storage water heater? Choosing one that’s too big is a waste of money and resources. Choosing one that’s too small could leave someone in your family out in the cold. The right sized water heater provides plenty of water while using energy efficiently. Storage water heaters, the type with a tank, are the most common type of unit in Vancouver. Storage heaters are always on, running on standby. These appliances are available in standard or hybrid heat pump styles. Heat pump water heaters are efficient in the moderate climate of the Pacific Northwest. To choose the right size, establish two things: 1) find the first-hour rating on the heater’s label, and 2) estimate your home’s peak need for hot water. The first-hour rating tells you the number of gallons a full tank can supply per hour. The score varies depending on the size of the tank, the power source and the element or burner size. Look for a yellow and black EnergyGuide label on the water heater. The rating will be listed as “Capacity (first-hour rating).” You may also be able to find the rating in the user manual. Look for a unit with a rating that matches your home’s peak-hour demand. 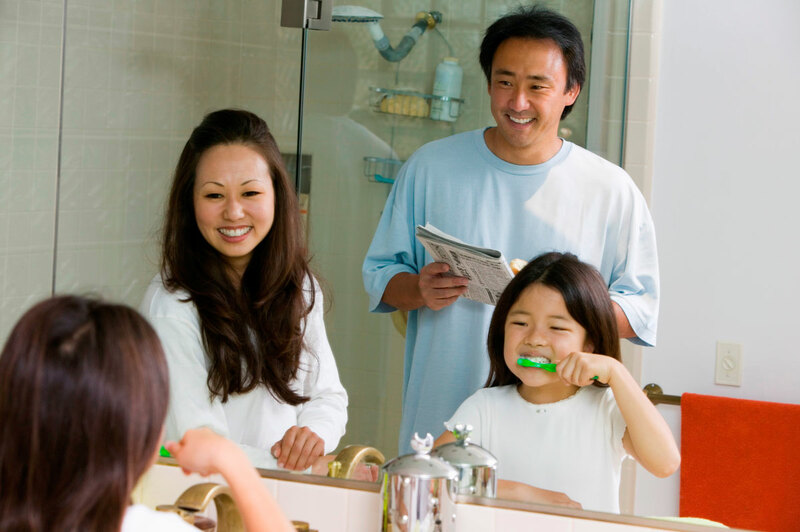 The peak-hour demand is the greatest amount of hot water your family uses during a particular hour in the day. Determine what time of day you use the greatest amount of hot water. For some, that time might be in the morning when several people are getting ready for work or school. For others, it might be in the evening when the dishwasher or washing machine is running and the kids are getting ready for bed. Using the list below, add up the number of gallons you use during your peak-demand hour. Here’s an example: After dinner, two people take a shower (10 x 2 = 20 gallons), someone is preparing food (4 gallons), then washes their hands (4 gallons). During the same hour, the dishwasher is running (6 gallons). This family has a peak usage of 34 gallons and should choose a heater with a capacity of 32 to 36 gallons. For 1-2 people, choose a capacity of 23-36 gallons. For 2-4 people, choose a capacity of 36-46 gallons. For 3-5 people, choose a capacity of 46-56 gallons. For 5 or more people, choose a capacity of 56 or more gallons. Use a different method for evaluating a tankless water heater. To learn more, read our blog about how to select an on-demand water heater. Simpson Plumbing in Vancouver, WA can help you choose the right water heater for your home. A high-efficiency heater not only lowers your utility bills, it may also help you earn state or federal tax credits. Contact us today to learn more.